Bare Soil is Public Enemy #1! Find out why in this video with Permaculture teacher Loren Luyendyk as he explains the Permaculture Principle of Catch and Store Energy to gardening. This principle is already happening in your garden. Plants naturally Catch and Store solar energy in the form of photosynthesis and sugars. In this video, Loren talks about how to design for optimal water storage and catchment. Loren talks about why he likes raised beds and how mulch-filled pathways can become water harvesting structures. These pathways don’t have to perfectly on contour and can have a little bit of slope. Water is stored and preserved in the mulch and evaporation is reduced. Don’t dehydrate your soil, keep it covered. Catch and Store it in your mulch. Using permaculture principles in your garden helps create an environment for healthy plants to thrive. Happy Gardening! In Permaculture Design waste is an unused resource. In this short video, Part 2 in our Permaculture Principles and Gardening Series, Permaculture Designer and Teacher Loren Luyendyk talks about waste and how everything is food for something else. Waste created in the garden and home can be seen as opportunities for re-use. Using waste onsite is a low-tech solution that will save you money, improve soil quality, and stop organic matter from going to the landfill. The “problem” of garden and kitchen waste is a solution for the our depleted soils. 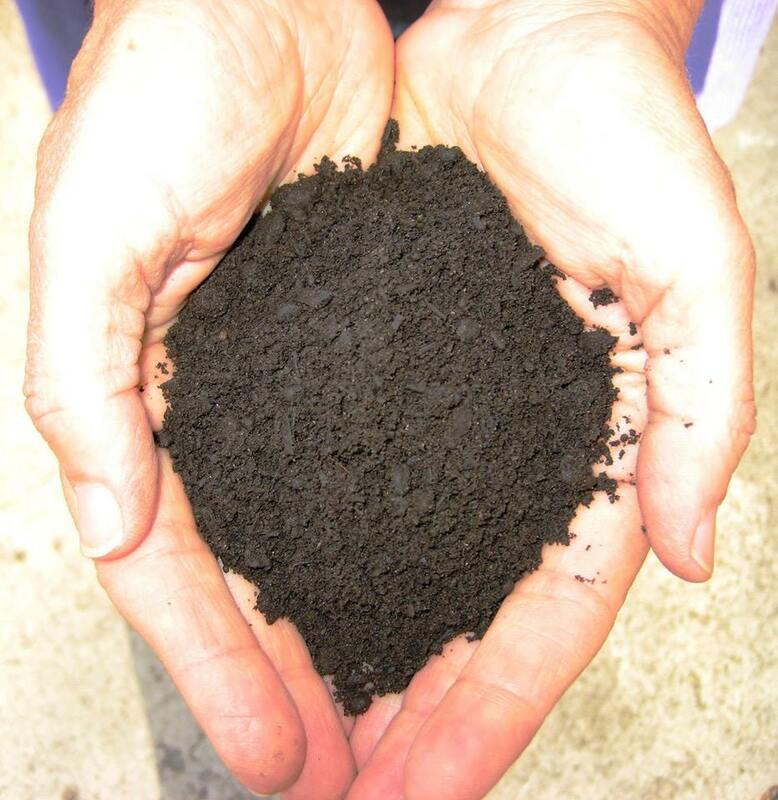 By feeding the soil your waste, you can revitalize and enliven the soil food web. Green waste and food scraps can be sheet mulched directly into the ground, chopped and dropped for mulch, put into a compost pile, or fed to animals. Food scraps can be fed to worms and other decomposers who will turn it into a premium soil amendment. By using your vermicompost on your garden, this waste will eventually be transformed into food, veggies, fruit and, if you have animals, eggs and meat. Re-using waste like cardboard and newspaper doesn’t require as much energy, water, or processing as recycling does. When waste is recycled offsite, it’s often melted, ground, or pulped in order to make a new product. Before you send materials from your home and garden away, it’s a good idea to see if there are hidden opportunities for reuse. Cardboard can be used for sheet mulching and newspaper makes good bedding for a worm bin. Both recycling and reuse can divert and permanently remove items from the dead end waste stream that leads to the landfill. 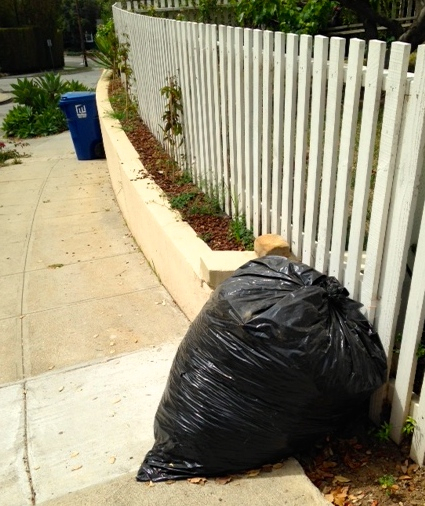 A good goal is to keep waste streams cycling on your property as long as possible. Permaculture Designer and Teacher Loren Luyendyk talks about the Permaculture principles of Relative Location and Efficient Energy Planning – Zone Planning as it relates to your home garden. Permaculture is a design system of tools and techniques that can be used to create long-term, regenerative human settlements. Permaculture can be applied to any field, including architecture, agriculture, psychology, building, and business. Permaculture offers us ethics (Earth Care, People Care, Fair Share) and principles that teach us how to work with nature and not against it. Make your life easier and your garden healthier by good design. Planting your garden in Zone 1, close to your house, will contribute to your garden’s success. Many people make the mistake of planting their gardens in Zones 2, 3, or 4 which are much farther from the daily paths they take. Here’s a short summary of Zones. A good rule is that the more you use or visit something, the closer it should be to your home. Zone 0 is your house. Zone 1 is very close to your home. Your garden, clothesline, chickens, compost pile, worm bin, and greenhouse can all go here. Frequent visits to these areas necessitate their location in Zone 1, unless you want to do a lot of walking! Other zones include Zone 2, which is not as close to the house, but still intensively maintained. This is a great place to put perennial plantings, shrubs, small orchard, and animals that need daily attention. Zone 3 might contain larger orchards, pastures, self-fed animals, and main crops. Zone 4 is semi-wild and only somewhat managed; this is the zone for wild food collecting and timber production. Zone 5 is wilderness- where we go to learn from nature. In this series of short videos, Sustainable World Media meets with Permaculture Designers and Teachers to ask them how they use Permaculture in their work. Loren Luyendyk is the owner of Santa Barbara Organics, a Sustainable Landscape and Agriculture Design and Consultation Service. Loren has over 12 years of experience in environmentally sensitive green design. Loren is also a certified arborist and teaches Permaculture Courses around the world. To see a tour of one of Loren’s Permaculture designs, click here. Stay tuned for more videos about applying Permaculture principles to your garden! Is Soil A Solution to Climate Change? Two Santa Barbara Filmmakers Say Yes! When filmmakers Carol Hirashima and Jill Cloutier first heard of the research being done about soil as a potential solution to the climate change crisis, they wanted to share it with the world. Hirashima and Cloutier’s self-funded film premiered at the Santa Barbara International Film Festival in 2012 and went on to screen at seven festivals, including Sausalito, Davis, OneEarth and the Wild and Scenic Film Tour. The film was also one of thirteen documentaries chosen by 350.org and the TRUST Campaign for their Climate of Change Tour, that visited college campuses across the U.S. When the filmmakers heard that the 68th UN General Assembly declared December 5th, 2014 as World Soil Day and 2015 as the International Year of Soils, Cloutier and Hirashima decided that it was the ideal time to offer their film for free viewing around the world. Click here to view The Soil Solution to Climate Change online, or visit the Sustainable World YouTube Channel athttps://www.youtube.com/user/SustainableWorld/videos. At Sustainable World Media we love educating about the natural world, Permaculture, rainwater harvesting, organic gardening, natural building and other topics related to reducing our environmental footprint. Our Sustainable World Channel has been on YouTube for over five years now. Here are our top five videos ranked by views. 1) TumbleWeed Tours with Jay Shafer– This one is a short tour of a very tiny mobile home. 2) Rainwater Harvesting Basics With Brad Lancaster- This one is especially timely with the drought. 3)Rainwater Harvesting- In this one, Brad Lancaster does a short demo illustrating how earth works can keep water on property. 4) The Art of Aquaponics- We visit Santa Barbara Aquaponics to learn more about this closed loop system and method of organic agriculture. 5) Bunyip Building- Have you ever wanted to make a water level to find the highs and lows of your landscape? Learn how here! To see more videos visit the Sustainable World YouTube Channel. Have you ever wanted to turn your water sucking lawn into a water saving landscape? We did. To learn how, we visited rainwater harvesting expert Jeff Adams at the recently installed rain garden at the Santa Barbara City College Center for Life Long Learning. In this video, Jeff , owner of Terra Sophia and Project Manager with the Watershed Management Group, talks about designing landscapes that retain water, create habitat, lessen runoff and look fabulous. In this short video, Jeff talks about how water harvesting techniques, combined with drought tolerant landscaping and use of native species, contributes to long-term water efficiencies. Keep your garden beautiful through times of drought and intermittent rainfall. Turn your lawn into a water saving landscape that saves you money, helps the environment and looks absolutely gorgeous. For more videos about water conservation, rainwater harvesting, Permaculture and farming visit our YouTube Channel here. 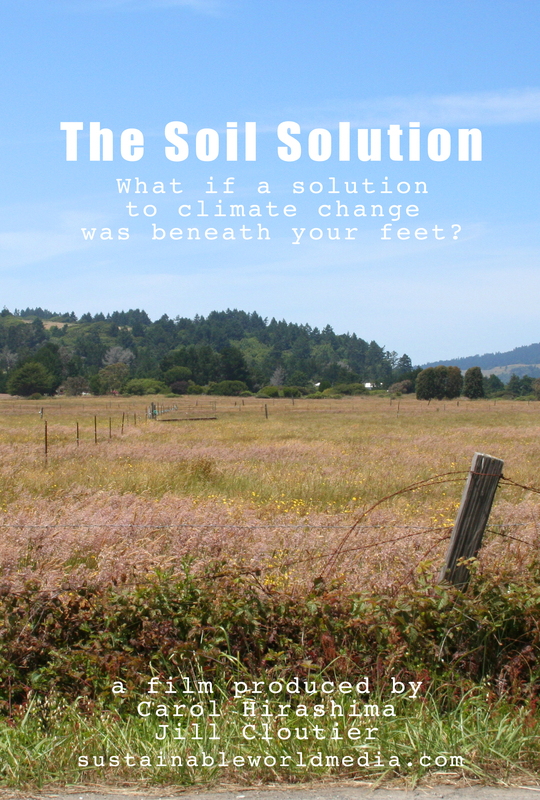 The Soil Solution is now on Amazon and available as a rental and instant download. You can also purchase the DVD. The Soil Solution is our first film and we’re proud that we were some of the initial filmmakers that documented the potential that soil may hold in reversing climate change. Why should you watch The Soil Solution? We made the film because we felt that it’s time to offer some solutions to the climate change crisis and to educate viewers about the relationship between soil and carbon. 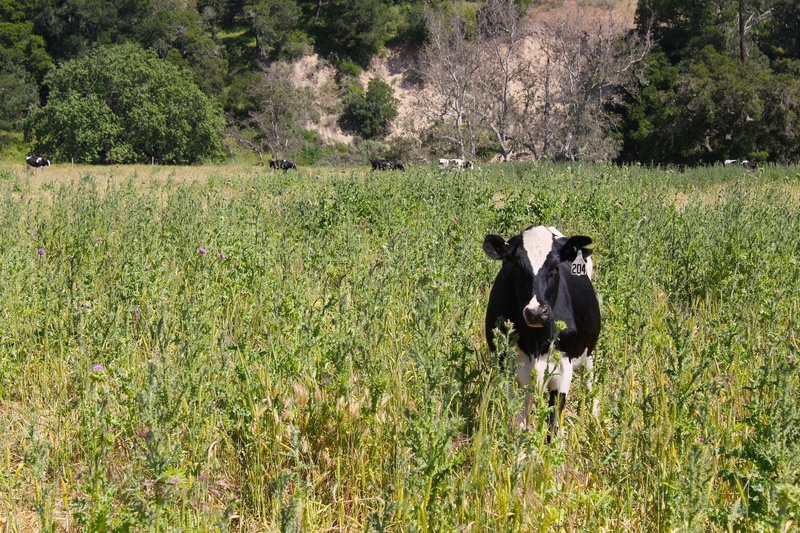 After researching the many ways to build healthy soil, we decided to focus on grazing and livestock, because of the huge and mostly detrimental impact they have on soil fertility and carbon sequestration. We included regenerative farming in the first cut of the film, but decided to edit that section out since we wanted the film to be short and easily digestible (and not two hours long). The Soil Solution has screened at many festivals, including the Santa Barbara International Film Festival, Sausalito Film Fest, and more recently at the One Earth Film Fest in Chicago. Our film toured with the Wild and Scenic 2013 Tour and was one of thirteen films chosen for the Climate of Change Tour sponsored by 350.org, the TRUST Campaign and Wild and Scenic. When we first started to play with the idea of making a film about soil, our working title was Soil, The Musical. Now that we’re done with the film, we firmly believe that soil and the soil food web are like an orchestra. Each organism and element contributing its part to creating a masterpiece- healthy soil. The good news is that we can have a positive role to play in creating fertile soil and in sequestering atmospheric carbon. Through our actions we can speed up the process… or destroy it.